Snowmobile in Alaska With Us. Everyone dreams of snow machining in Alaska. 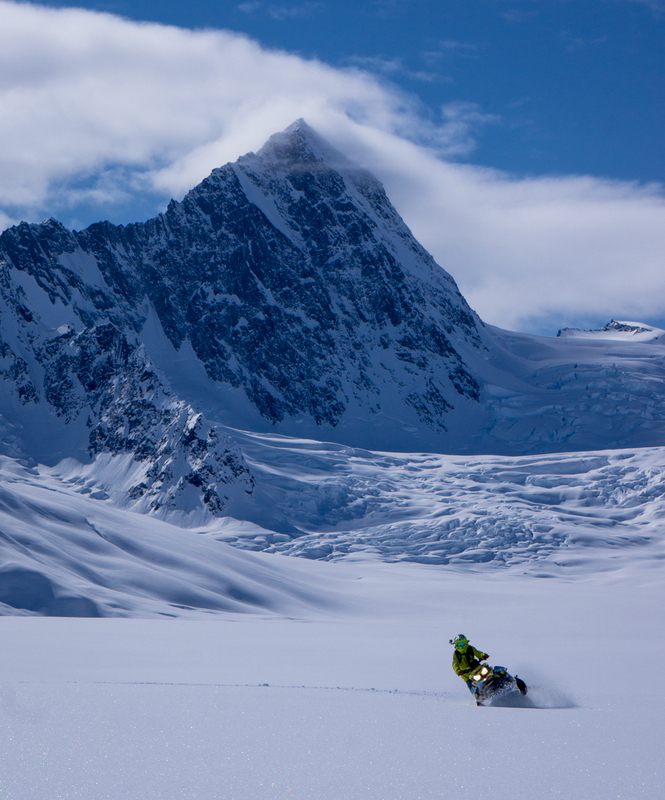 Imagine spending your vacation riding the newest Ski-Doo machines in the Chugach mountains that surround Valdez, Alaska. We are proud the be the only operator offering week-long packages for the finest riding experience available in the snowmobile world. It doesn’t matter if you do not have mountain experience our expert guides will teach you the skills you need to ride this legendary location. If you have your own machines at home this is a fantastic way to ride in Alaska without the hassle and huge expense of shipping or driving them to Alaska. We feature the finest snow machines available today made by Ski-Doo. Ride one and you will understand what we have known for Years. For the 2019 season we will be featuring the current model year Ski-Doo’s 850 Summit in both 165 and 175 track lengths. These machines are by far the best mountain and powder snowmobiles available today. Unlike the snowmobiles of old the Ski Doo Summit is easy to ride and allows new and experienced riders to get to places they never dreamed they would be able to go. 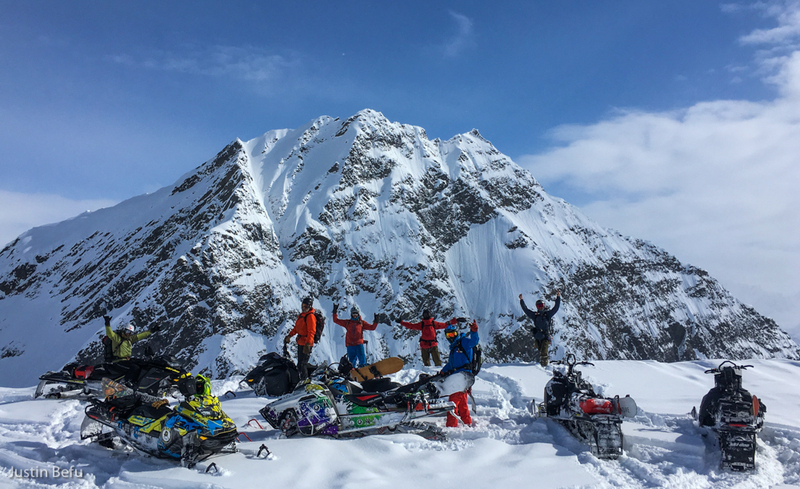 These incredible machines coupled with lessons from our guides allow even beginning snowmobilers to have the trip of a lifetime riding in places few people on the planet have ever ridden. Alaska offers some of the most scenic and rugged terrain on the planet. Our main base of operations for snow machines and snowmobiles is located on what is very likely the best spot for snow machine access on the planet. The Chugach mountains are vast. In fact, we have access to hundreds of square miles of terrain. This abundance of terrain offers everything from wide open flat glaciers to incredible climbs, vistas and views. There are endless options and opportunities for all levels of snowmobilers. We do our best to keep a small guest to guide ratio, usually this is 4 guests and 2 guides per group. We do this for one main reason – your safety. Experience has shown that 2 guides for a group of four guests is the best practice but we will also use 1 guide for 2 guests when we have a large difference in ability levels, aspirations, different package, start dates and a variety other reasons. Furthermore we will often use 3 or more guides in larger groups. Head over to the snowmobile package page for information on pricing, what’s included and other things you should know before booking.